5-20-14NYTimes "Big Swiss Bank Pleads Guilty in Felony Tax Evasion Case"
2-27-14NYTimes "Senate Panel Says Credit Suisse Helped Hide U.S. Assets"
"Credit Suisse helped thousands of Americans hide billions of dollars in assets from United States tax authorities." 4 yrs. after an agreement between U.S. and Switzerland pierced a veil of secrecy by requiring Swiss bank UBS to turn over names of account holders, defense lawyers say prosecutors are conducting 100 criminal investigations of suspected tax evaders. UBS scrambled until the last minute to avoid having its subsidiary plead guilty to fraud. A judge noted in the sentencing of Christos Bagios, a former banker with UBS and Credit Suisse, that Mr. Bagios had aided a federal investigation into tax evasion and Swiss banking practices. 10-28-12NYTimes--The Gnomes Help the Greeks Evade Taxes, Too! A Greek magazine published a list of more than 2,000 Greeks said to have accounts in a Swiss bank, raising the stakes in a battle over whether officials had used it to check for possible tax evasion. In February 2009, UBS (United Bank of Switzerland) agreed to pay $780,000,000 to settle charges that it helped 52,000 Americans evade U.S. income taxes through secret offshore "black accounts." Since the settlement, UBS has resisted efforts of the U.S. Justice Department to force it to divulge the names of its American secret account holders. UBS maintains that revealing the names of secret account holders would be a criminal violation of Swiss banking laws. UBS turned over the names of 250 suspected U.S. tax evaders to U.S. authorities in February, a move that was criticized by the Swiss Bankers' Accociation. UBS has suffered massive losses in subprime mortgage investments and received a $59 billion bailout from the Swiss government last fall. Despite the I.R.S.s efforts, wealthy American tax cheats are still able to hide their money because Swiss banks are still eager to help them. Kenneth Heller, who hid more than $26.4 million at UBS and will pay a fine of $9.8 million, faces a maximum prison term of 15 years. The Justice Department is exploring whether it can fine overseas banks that have aided tax evasion 50 percent of the total balance for the accounts in question. Its going to take more high-profile action against financial institutions to force them out of the tax-cheat racket. There are Gnoimes in London as Well as Zurich! Federal authorities are considering whether to serve a broad legal summons on HSBC to ascertain whether it sold tax-evasion services to scores of wealthy American clients, people briefed on the matter said Wednesday. The Internal Revenue Service said on Monday that it would soon announce a new amnesty program aimed at encouraging wealthy Americans with hidden offshore bank accounts to come forward, declare their money and pay taxes owed. A former senior Swiss bank executive said on Monday that he had given the WikiLeaks founder, Julian Assange, details of more than 2,000 prominent individuals and companies that he contends engaged in tax evasion and other possible criminal activity. There are Tax Fraud Gnomes in Germany as well as Zurich! Deutsche Bank agreed to pay $553 million and admit to criminal wrongdoing on Tuesday, settling a long-running investigation into tax shelter fraud that prosecutors say generated billions of dollars in bogus tax benefits. The Internal Revenue Service on Tuesday dropped its legal push to force the Swiss bank UBS to disclose the names of scores of American clients suspected of offshore tax evasion, but the agency said it was ramping up its scrutiny of other banks. The Justice Dept and the IRS plan to use the approval, which came after months of legal and diplomatic wrangling between the two sides and within Switzerland, as a springboard to force other Swiss banks to hand over details of similar clients. A Swiss parliamentary commission signaled on Friday that it was likely to accept an agreement with United States to hand over data on clients of the bank UBS suspected of tax evasion. As Swiss lawmakers appear poised to resolve a tax dispute between UBS and Washington, one thing is becoming clear: an end to absolute banking secrecy will change the countrys pre-eminent financial sector. Abrahamsen used a sham offshore corp. in Panama to hide his UBS accounts. Prosecutors charged him with failing to file disclosures to the I.R.S. in 2005. He also failed to disclose his UBS account and one he had opened for his daughter. The Swiss cabinet said on Wednesday that it no longer supported rulings by two Swiss courts that have prevented a planned handover of more than 4,000 names of UBS clients suspected of tax evasion. Swiss Gnomes Back Away from Disclosure Deal with U.S. The Swiss government on Wednesday backed off an agreement with the United States that required it to hand over the names of wealthy American clients of the Swiss bank UBS who were suspected of tax evasion, Lynnley Browning reported in The NY Times. It is a global problem, and I am only the messenger who provides the bad news, or even better, the truth, Mr. Elmer, 54, wrote in a recent e-mail message. Offshore tax evasion is the biggest theft among societies and neighbor states in this world. A federal judge refused to reconsider or postpone a 40-month prison sentence for former UBS banker Bradley Birkenfeld, 44, who is headed for the slammer January 8. Birkenfeld pleaded guilty in 2008 to helping U.S. citizens evade income tax. In a legal motion filed December 26 Birkenfeld disputed prosecutors' statements that he wasn't "fully forthcoming" while cooperating with the U.S. government's investigation of UBS's offshore banking practices. UBS agreed last year to pay a $780 million fine in a deal to avoid criminal prosecution. The Internal Revenue Service said Tuesday that more that 14,700 Americans had been attracted to an amnesty program in recent months and disclosed their secret foreign bank accounts many more than had been attracted to a previous I.R.S. program. Thurs. is the deadline for Americans to come clean about the money they've hidden offshore, in places like Swiss bank accounts. No one can say for sure how much money is out therethe accounts are secret but the hoard may be tens of billions of $. Federal prosecutors accused Mr. Homann of failing to submit a form known as an F-bar in 2007 disclosing his UBS accounts, and of using a foundation in Liechtenstein, a tax haven, to conceal the trail. The filings said that he concealed $5 million. Bradley Birkenfeld, an American, was given credit by prosecutors for voluntarily disclosing illegal tactics by the Swiss banking giant. Others have copied the model — Liechtenstein, Bermuda, the Cayman Islands, Macao, Hong Kong. While Switzerland is seen as the most conservative offshore haven, the others are measured by a scale from dubious business practices to organized crime. The deal between the U. S. and Switzerland to provide the names of 4,450 secret accounts held by Americans at UBS is a blow for fairness. If Switzerland lives up to its commitment, it may the e beginning of the end of international tax cheating. Federal prosecutors are building criminal cases against 150 wealthy American clients of the Swiss banking giant UBS as part of a continuing investigation into tax evasion, a person briefed on the matter said Thursday. Switzerland and the U.S. reached an agreement in principle on Friday to settle out of court a closely watched case that seeks to force the Swiss banking giant UBS to turn over the names of wealthy American clients suspected of tax evasion. PARIS — The Swiss government said Wednesday that it was prepared to seize U.B.S. client data rather than allow the bank to hand it over to the United States to settle a tax case. Senate investigators estimate that Americans who hide assets in offshore bank accounts are failing to pay about $100 billion a year in taxes. In good times, that’s grossly unfair and bad for the country. In times like these, it should be intolerable. The government not only needs the money, but closing down such tax scams is essential for President Obama’s rescue effort to retain public support and credibility. Some of the banks at the center of the global financial meltdown are prominent purveyors of evasion services. UBS of Switzerland has acknowledged that as of Sept. 30, it held about 47,000 secret accounts for Americans. It has refused to disclose the names of all but a tiny number of the account holders, arguing that it would be a breach of Swiss law. But last month — after UBS got caught soliciting business in the United States — it admitted to breaking federal law by helping Americans hide assets, and the bank agreed to pay $780 million in fines and restitution. The United States Treasury isn’t the only one being shorted. The Tax Justice Network, a research and advocacy organization, estimates $11.5 trillion in assets from around the world are hidden in offshore havens. Bankers and their host countries are feeling the heat. In recent days, a rash of governments, including Andorra, Liechtenstein, Singapore and Hong Kong have said they would increase the transparency of their offshore banking business and share more information with tax authorities in depositors’ home countries. Even the Swiss government has caved — somewhat. On Friday, it announced that it would exchange information with tax authorities in other countries on the basis of “specific and justified” requests, though it resolutely rejected “any form of automatic exchange of information.” Meanwhile, UBS promised to close its secret American accounts and not open any more. The United States is taking UBS to court to try to get the bank to reveal the identities of thousands of accounts. The government needs more tools to crack down on such international tax evasion. The Internal Revenue Service relies on taxpayers to disclose any foreign bank accounts, and it has no means to routinely get that information from banks in jurisdictions that protect secrecy. Senator Max Baucus, the chairman of the Senate Finance Committee, is considering legislation that would require banks to inform the I.R.S. when their clients wire money abroad. Senator Carl Levin has introduced a bill that, among other provisions, would allow the United States to bar banks in this country from doing business with foreign banks that refused to cooperate with American tax authorities. This problem can’t be fixed solely by American law. At the London summit, American officials should work with other governments to come up with a common set of rules to pry information from tax havens. 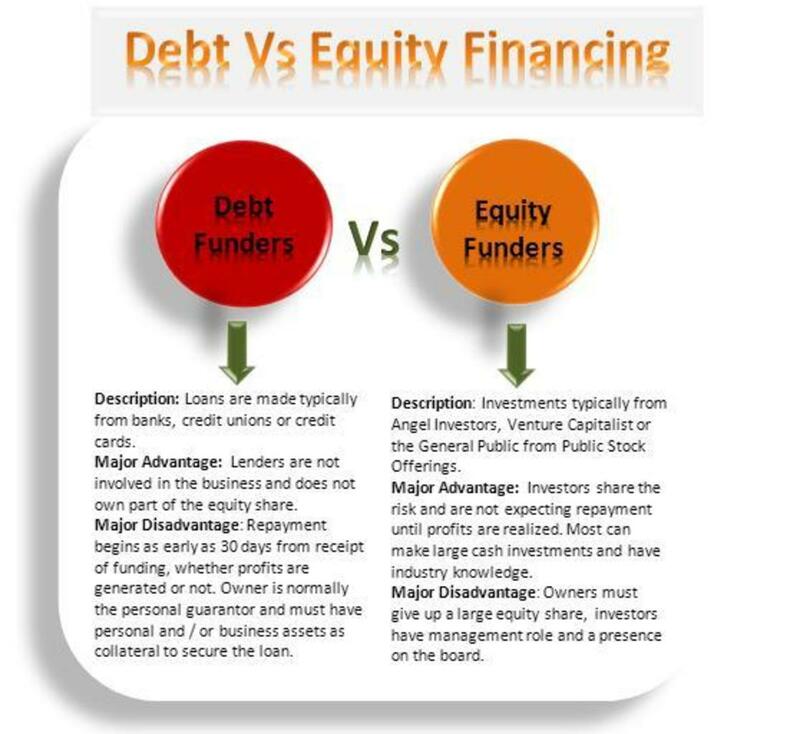 There are a variety of ideas worth serious consideration. Governments could revoke tax treaties with countries that refuse to cooperate with tax queries — making it much more cumbersome for their companies to do international business. They could restrict their own banks from doing business with banks in uncooperative countries or subject any business with these countries to higher standards of disclosure. They could start now by publishing blacklists of countries and banks that refuse to cooperate with requests for information from fiscal authorities. A few years ago, most banks and tax havens would have shrugged off such an effort. But in the current environment, they seem to be more sensitive to public shaming. Next Article in Opinion (4 of 28) » A version of this article appeared in print on March 14, 2009, on page A20 of the New York edition. Switzerland’s president has offered a deal. He said it would be easier to complete a new bilateral tax treaty if Washington dropped its legal action against UBS, the Swiss bank that tens of thousands of wealthy Americans have used to hide their money from the I.R.S. The offer looks tempting. Under international pressure, Switzerland has indicated a willingness to relax its bank secrecy rules and abide by new global guidelines. A new tax treaty, which Treasury officials were negotiating last week, would give the Internal Revenue Service access to information it needs to collect taxes from Americans with secret accounts. It is still a bad deal. It would let off the hook thousands of people who have used UBS to avoid billions in taxes. This money is owed. The Treasury certainly needs it. And it is doubtful that Switzerland, no matter what it claims, would jeopardize a treaty that all Swiss companies that do business in the United States need, for reasons including protecting themselves from possible double taxation. The Swiss government claims that the American demand that UBS hand over the names of 52,000 United States customers with secret accounts is not far from a fishing expedition, forbidden under international guidelines. But UBS has already been caught soliciting illicit business in the United States. It admitted in court that it sent dozens of bankers on thousands of trips with devious stratagems to hide money from tax authorities. According to court documents, by the middle of the decade these American accounts held about $15 billion in assets and generated revenues for UBS of more than $120 million a year. We understand that the Swiss government is worried about the future of its biggest bank, in which it recently sunk taxpayer money. We welcome its newfound openness — however reluctantly given. But the United States need not condone the illegal tax evasion of the past for a shot at stopping illegal tax evasion in the future. The Obama administration should, politely, say no. Federal authorities arrested two property developers, a father and son, on Thursday and charged them with participating in a multimillion-dollar tax evasion scheme through a large international bank (HSBC), The NY Timess Lynnley Browning reported. Gnomes Hide Money for Itallians, Too! UBS Gnomes of Zurich Hide Money for Italians, Too--CROOK ALERT! In his plea, Bradley C. Birkenfeld agreed to cooperate with prosecutors in their investigation of UBS practices, which may reveal the names of scores of wealthy American clients. Credit Suisse has done what no other bank of its size and significance has done in over two decades: plead guilty to criminal wrongdoing. "Senators on both sides of the aisle criticized Credit Suisse at a hearing on Wednesday, saying it helped thousands of Americans hide billions of dollars in assets from United States tax authorities. The hearing was the result of a two-year investigation into practices at the bank from 2001 through 2008, when, Senate investigators said, Credit Suisse bankers actively recruited American clients and helped them hide money offshore. Brady W. Dougan, the chief executive of Credit Suisse, based in Zurich, said that only a small number of employees were involved in such activity and that the bank had moved decisively to improve compliance in the last five years. But that apology did little to appease the committee, whose members expressed doubt that executives did not know that the bank was helping its American customers evade taxes, and anger that no employees had been fired for misconduct. “If you believe that, I have some beachfront property in Arizona I’d like you to look at,” said Senator John McCain of Arizona, the ranking Republican member on the committee, briefing reporters in advance of the hearing. "The Senate investigation found that Credit Suisse held as many as 22,000 American accounts with assets worth an estimated $10 billion to $12 billion. Thus far, the identities of about 1 percent of account holders have been revealed to American authorities, though Credit Suisse has closed most of those accounts. “We’re really talking about a minuscule number of individuals who have intentionally evaded U.S. taxes” that have been uncovered, Mr. McCain said at the hearing. "The Credit Suisse executives — generally deferential in the face of hours of barbed questioning — said that the bank had to comply with American and Swiss laws, which can be at odds on the issue of client privacy. “We do not want U.S. clients who are not fully compliant with the laws of this country,” said Hans-Ulrich Meister, the head of Credit Suisse’s private banking and wealth management. "The bank executives repeatedly said that Swiss law prevented them from disclosing certain client information. In part, that is because the Senate has not ratified a bilateral treaty with Switzerland that would allow fuller disclosures. A 176-page report by the Senate committee said that the bank was going to great lengths to help Americans evade taxes. That included helping clients set up shell corporations, having Swiss bankers travel to the United States to avoid creating a paper trail and recruiting Americans at a New York “ball” and a golf tournament. "It also described Credit Suisse opening an office at a Swiss airport. “It was an office of convenience for clients,” Mr. Dougan said, adding that it was used by account holders headed to and from Swiss ski resorts. “It certainly was,” Mr. McCain retorted. The Justice Department also came in for criticism; senators said it dragged its feet in prosecuting or settling with Swiss banks under investigation — an accusation that American law enforcement has strongly denied. "The Justice Department has said that it is investigating more than a dozen Swiss financial institutions. Banks, including Credit Suisse, have warned that continuing legal costs may take a toll on their bottom lines. Five years ago, UBS, the largest Swiss bank, admitted to helping American account holders avoid taxes." WEST PALM BEACH, Fla. — A former Swiss banker pleaded guilty on Tuesday to helping Americans hide millions of dollars from tax authorities, and a judge noted the banker had aided in a broad federal investigation of tax evasion that has put Swiss banks on the defensive. The former banker, Christos Bagios, previously employed by the Swiss financial giants UBS and the Credit Suisse Group, changed his earlier plea from not guilty in the United States District Court for Southern Florida. The change of plea had been expected. BERN, Switzerland — In the view of Switzerland’s president, her country would sign a deal on banking secrecy with the United States “tomorrow” if not for an impasse created by Washington. Relations between the United States and Switzerland have been troubled by the question of tax evasion since 2008, when American authorities began pursuing UBS, the largest Swiss bank, for helping thousands hide money from the Internal Revenue Service. UBS later settled with the Justice Department, turning over details of 4,450 client accounts and paying a fine of $780 million in exchange for a deferred prosecution agreement. The Gnomes of Zurich are still helping American tax cheaters. Amid their widening investigation into banks suspected of facilitating offshore tax evasion by wealthy Americans, the federal authorities are contemplating a novel punishment: a severe monetary penalty normally reserved for individual Americans. That was a very eye opening article. I do however realize that offshore banking has been going on a very long time. The US tax system as is, is broken and very confiscatory toward achievement in this country. This is the main reason people seek such shelters, not so much as a criminal act, but as a way of self preservation of assets earned thru hard work. As in anything thing I know that there are exceptions to this. But, I know there are many companies and individuals that would reinvest the money into the country if not for the IRS rules and regulations concerning investments and the burden placed on them by the taxes. Also, the influx of illegal aliens into our systems; medical, schools and other programed designed around the tax system, as designed, has stressed them to the limit. The tax system needs to be restructured in order to collect taxes from all people not just the successful. I recommend looking into the fair tax as proposed by Rep. John Linder from Georgia. There are a couple of books on the subject that address concerns for the systems affect on the poor and other questions. The book was written by talk show host Neil Boortz and John Linder. A tax system that is not designed around taxing achievement,but eliminating the IRS and going to a consumption tax makes more sense than what we have right now. Business spend billions of dollars complying with tax laws and countless numbers of man hours are lost each year just dealing with the IRS. I could go on and on about this issue, but I will close with this: There has to be a better way. HSBC may be a target of tax evasion investigations. I.R.S. spokesman, Frank Keith, said that the program would be formally announced “very shortly” and would not offer terms as generous as those put forth in a similar initiative last fall. Senior tax lawyers said on Monday that the announcement would most likely come within several weeks, ahead of the 2011 tax filing season. “The government wants to encourage people not to lie on their upcoming returns,” said Robert Katzberg, a white-collar criminal defense lawyer in New York with offshore bank clients. It'll be interesting to see who's on the list! A former UBS private banker pleaded guilty on Wednesday to helping wealthy American clients evade taxes through hidden Swiss accounts, an admission obtained in part by prosecutors’ secret recording of a meeting between the banker and an important client. The Internal Revenue Service has dropped its legal push to require the Swiss bank UBS to disclose the names of scores of American clients suspected of offshore tax evasion, but the agency says it is ramping up its scrutiny of other banks, Lynnley Browning of The New York Times reported. The I.R.S. 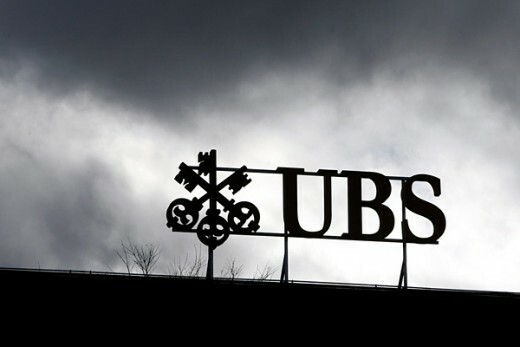 said on Tuesday that it had withdrawn its legal summons against UBS — a move that was expected after the Justice Department dropped criminal charges against the bank last month after an 18-month period of probation for selling offshore tax evasion services. In a brief interview by phone, Douglas H. Shulman, the I.R.S. commissioner, disclosed that the agency was advancing in its scrutiny of other banks suspected of selling offshore tax evasion services. “We have additional cases and banks in our sights right now,” he said, declining to provide details. Switzerland finally approves deal requiring UBS to reveal names of 4,200 Americans suspected of tax evasion in UBS secret accounts. This is likely to bring pressure on other Swiss banks to follow suit and reveal names of U.S. secret account holders. Swiss lawmakers have approved a deal to disclose the names of thousands of US clients suspected of evading taxes through accounts at a UBS bank, but whether American prosecutors get the names could now be up to Swiss voters. The lower house of the Swiss Parliament reversed itself yesterday and voted, 81 to 61, with 53 abstentions, to turn the names over to US regulators. But at the same time, lawmakers voted to put the question of the handover to the handover to a national referendum, leaving a resolution in limbo. 6-9-10--Swiss lawmakers on Tuesday rejected a deal to hand over to United States authorities data on more than 4,000 wealthy Americans suspected of evading taxes with the help of the Swiss bank UBS, a move that could bring the bank a step closer to indictment, according to people briefed on the matter. The rejection, by the lower house of the Swiss Parliament, is the latest stumbling block to a deal reached last August with the Justice Department that requires the Swiss government to turn over the names as part of a continuing criminal investigation into UBS for selling offshore tax evasion services through its private bank. Federal authorities arrested two property developers, a father and son, on Thursday and charged them with participating in a multimillion-dollar tax evasion scheme through a large international bank, The New York Times’s Lynnley Browning reported. The property developers — Mauricio Cohen Assor and his son, Leon Cohen-Levy — were taken into custody in New York, a day after they were jointly charged in a criminal complaint filed in Federal District Court in Fort Lauderdale, Florida, court papers show. The bank was identified as HSBC by a person who was briefed on the matter but spoke on condition of not being identified because the investigation is continuing, The Times said. Harry Abrahamsen of Oradel, NJ, pleaded guilty to tax fraud enabled by UBS secret account. 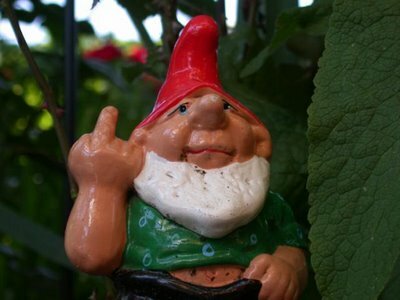 Swiss Gnomes back off on deal to disclose names of 52,000 UBS account holders suspected of evading U.S. Taxes. 7,500 Americans come clean on secret UBS bank accounts. What about the remaining 45,000? Many Americans dread April 15, the deadline for filing their income tax returns. But some well-heeled people are trembling over another looming tax day: Oct. 15. Thursday is the deadline for Americans to come clean about the money they have hidden offshore, in places like Swiss bank accounts. No one can say with certainty how much money is out there — the accounts are secret — but the hoard may be tens of billions of dollars. Several thousand wealthy people have come forward, hoping to avoid large fines or possibly even prison. But many others are still weighing their options. The choice is stark: They can confess and pay the penalties, or gamble that they will not get caught. With the deadline only days away, tax lawyers say they are being inundated by anxious clients. The roaches are coming out of the woodwork! Liam, thanks for the correction and the comment. I agree. Your hub states that UBS paid $780 in the section titled "UBS Suspected of Helping 52,000 Americans Evade U.S. Income Taxes." It was $780,000,000. I'd say failure to pay taxes is far more than intolerable; it's criminal. 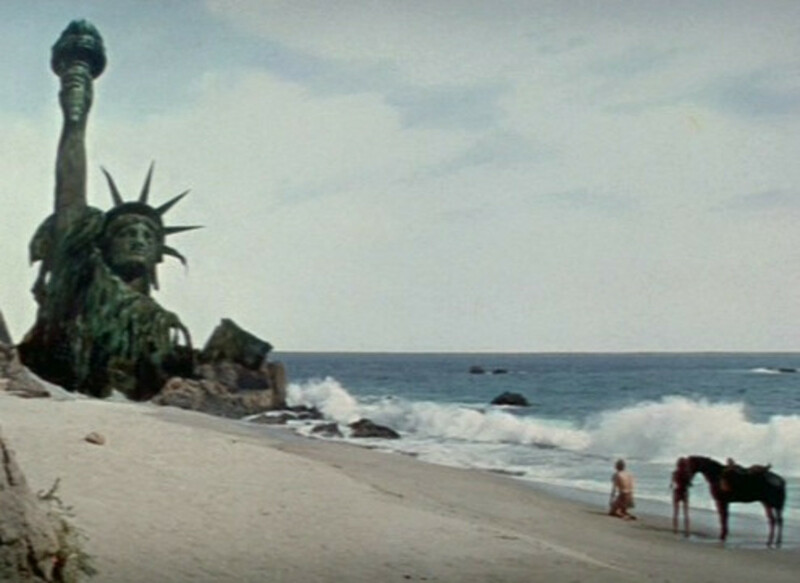 U.S. closing in on UBS American tax evaders! I can hardly wait for the list of 5,000 holders of secret UBS accounts! Add Switzerland to Iran and North Korea on our problem country list. It sure would be interesting to see the list of 52,000 Americans with secret UBS accounts! Ralph, you just keep publishing these hubs which seem to be critical of our kapitalist system! I don't understand what the problem is. This is the way things are supposed to work. People with more money than they could spend in five lifetimes are allowed to use whatever resources are available to make sure they continue to acquire even more wealth constantly. It's up to the unclean masses who engage in the unpleasant activity known as work to bear the burden. These aristocratic, cultured and superior people of wealth are merely being good, efficient kapitalists! Please stop your scurrilous attacks upon their honor and dignity! Nice post. I'm not american but the information is OK. I suppose the names of anyone indicted will be published. Maybe we have a hacker among us Hubbers who could provide us with the names??? Will the names be published? That would be fantastic! Sleezebags caught red-handed. I'm waiting with bated breath for the names to be published! Prosecutors contend that UBS executives used encrypted software and other counter-surveillance techniques to prevent anyone from detecting that they were actively marketing such Swiss bank secrecy - and tax evasion - to American taxpayers. At a time when millions of Americans are losing their jobs, their homes and their health care, it is appalling that more than 50,000 of the wealthiest among us have actively sought to evade their civic and legal duty to pay taxes. "This was not a mere compliance oversight, but rather a knowing crime motivated by greed and disrespect for the law," said Alexander Acosta, U.S. attorney for southern Florida. Internal Revenue Service Commissioner Doug Shulman warned U.S. taxpayers hiding money overseas that it was time to come clean with Uncle Sam. "People who have hidden unreported income offshore need to get right with their government. They should come forward and take advantage of our voluntary disclosure process," Shulman said. Sen. Carl Levin, D-Mich., has estimated that abusive tax shelters and hidden offshore accounts cost the U.S. government nearly $100 billion a year in lost tax revenue. Prosecutors are still hunting for UBS executive Raoul Weil, who was indicted in November 2008 on charges he conspired to defraud the government for overseeing the bank's cross-border business. In June 2008 former UBS banker Bradley Birkenfeld pleaded guilty to a similar charge.